Third Graders See "Peter and the Star Catcher"
School buses lined up outside the high school, dropping off class after class of excited third grade students. 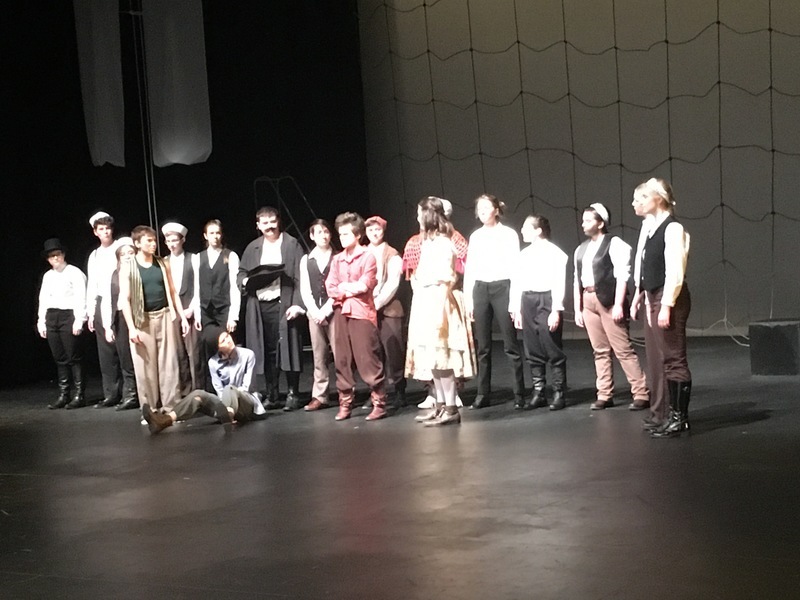 For the first time, Ridgefield High School theater held a school day matinee so students could see their performance of Peter and the Star Catcher. Peter and the Star Catcher tells how Peter Pan’s story began. Students from Union Ridge Elementary and South Ridge Elementary had read the book in class; it was a happy coincidence that the high school had their performance of the story at the same time. Teachers and administrators worked together to coordinate the third grade field trip. Students were delighted to see the story brought to life, with orphans, pirates, and even a flying cat. After the performance, the kids chatted happily about the play and the book. As they walked back to the buses, they passed posters with a quote from the book, “To have faith is to have wings.” For just a little bit, they had all believed in the magic of Peter Pan.